Who cares about dating Orihara when Etsuko’s Lassy dream is about to come true? 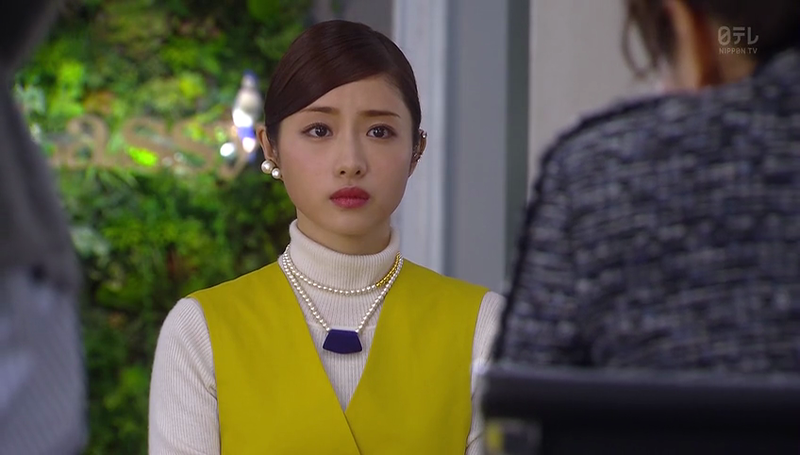 Etsuko ran back to Keibonsha after receiving that call from Morio saying that Lassy’s Ed-chief, Kamei, wants to see her. As it happens, Kamei wants to include Etsuko in the planning of Lassy’s special spring edition. The said planning is only open to Lassy’s new editors, but for a change, she asks Etsuko to try giving a presentation as well. Etsuko immediately jumps at the offer and she has less than a week to prepare. Morio is genuinely happy for Etsuko and tells her that if her project is considered, she might be transferred to Lassy in the next HR meeting. 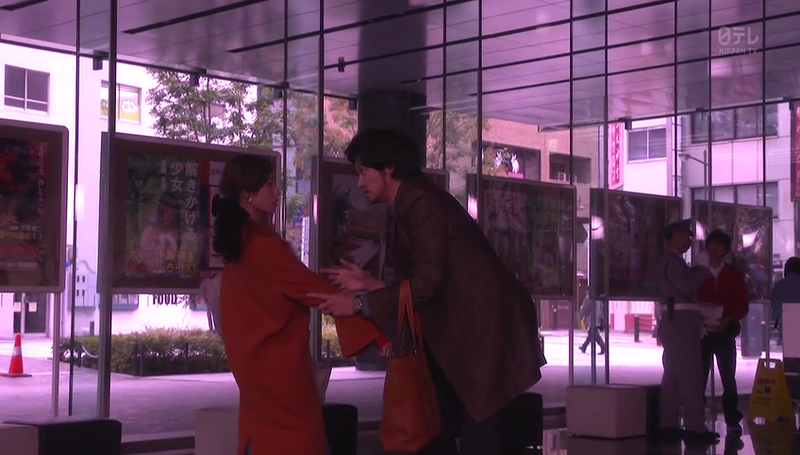 She excitedly leaves Keibonsha but she ran to a flustered Kaizuka, who tells her that they need to see Orihara because Hongo-sensei has been accused of plagiarism. What? The said plagiarized work is titled, “Zero knowledge proof”, which is included in Hongo-sensei’s work collection for his 30th anniversary. According to an email, sent by the a certain Naoki Ryunosuke, the short story resembles his blog post that was posted 3 weeks prior to the publication of the said work collection. 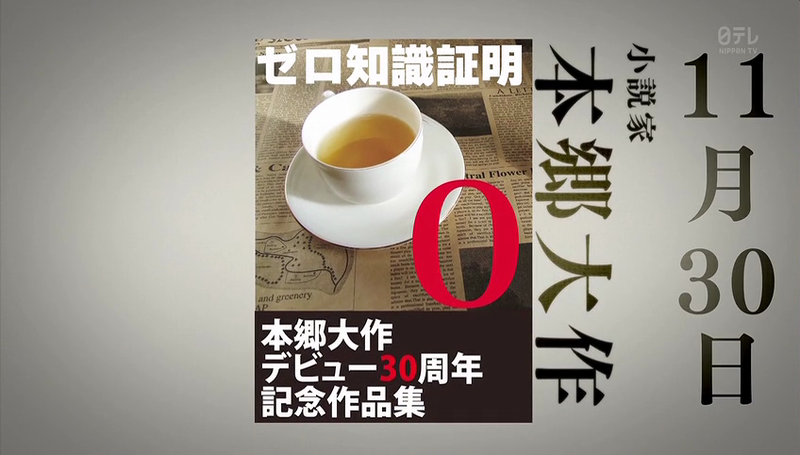 The writer also wants Keibonsha to recall the books and published a public apology about plagiarism by 5th of Dec or he will get this story published at Monthly Ourai (you know, that trashy tabloid). Orihara asks how similar are the two stories and Kaizuka answers that aside from the character names, everything else is an exact copy. Takehara says that Naoki’s story was published on his blog in the 9th of November while Hongo-sensei’s novel was published in 30th of Nov. Looking at that angle, it’s easy to conclude that Naoki’s story came first, however, Hongo-sensei’s novel was already for first revision in the proofreading department last Oct 5th. Takehara says that it’s highly unlikely that Hongo-sensei plagiarized the novel. But Kaizuka says that the story can still be twist around, moreover, sensei has been missing and ignoring his calls, which is so unlikely of him. Kaizuka also has suspicions about sensei, he tells them that he rushed the writing of the first revision and that the contents aren’t even mystery-erotica. 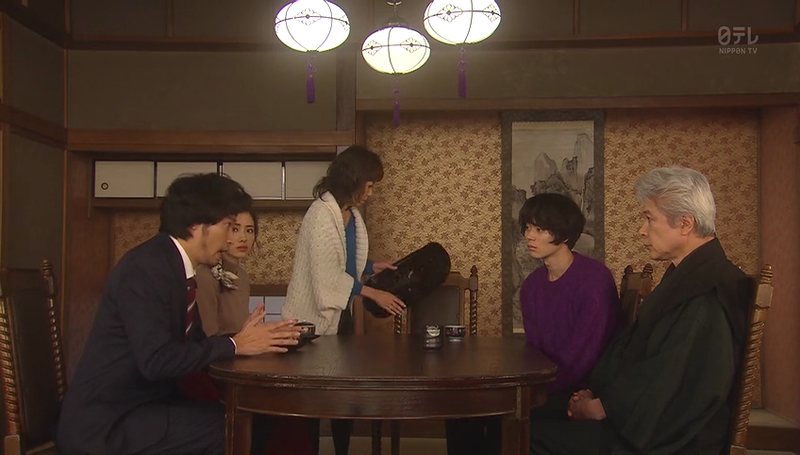 Etsuko is peeved that Kaizuka even doubts sensei while Orihara tells her that his father has been acting strange, he’s been receiving calls lately, which he says are work-related, and he would take the call away from Orihara. He’s certain that his dad is hiding something from him and tells Etsuko that they should find his dad before the 5th of Dec. Hearing the date, Etsuko immediately recalls that it’s also her deadline to give presentation to Lassy’s editor and she haven’t started anything yet. In the end, Etsuko wasn’t able to start anything and she gets busy at work since they have to help in proving that sensei didn’t plagiarize anything. The said novel’s first revision was done by Etsuko, Yoneoka on the second, and Fujiwa for the final proof. The three of them have to recheck their works to see if there’s anything to prove that sensei didn’t plagiarize. As for Kaizuka, he’s busy checking the cctv inside the editorial department to check if anyone might have stolen sensei’s galley. Anyway, while checking the first revision galley, Etsuko asserts that it’s impossible for Hongo-sensei to plagiarize and she uses the word “kizuku”(気付く /to notice) as an example. 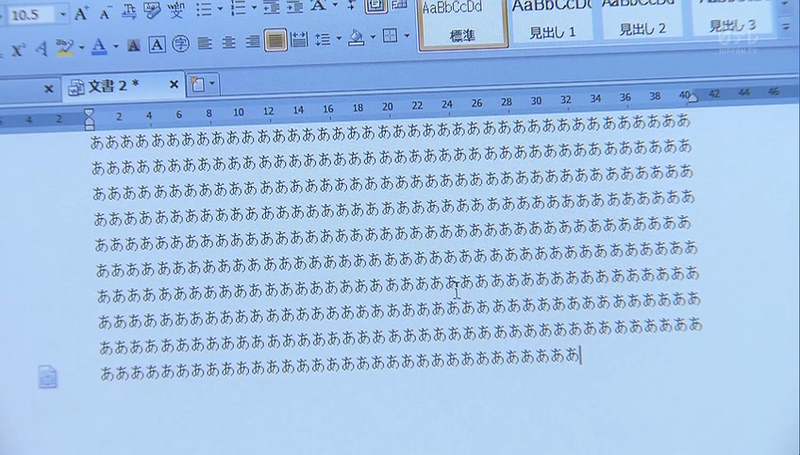 Sensei’s uses kanji to write that word while Naoki uses hiragana. 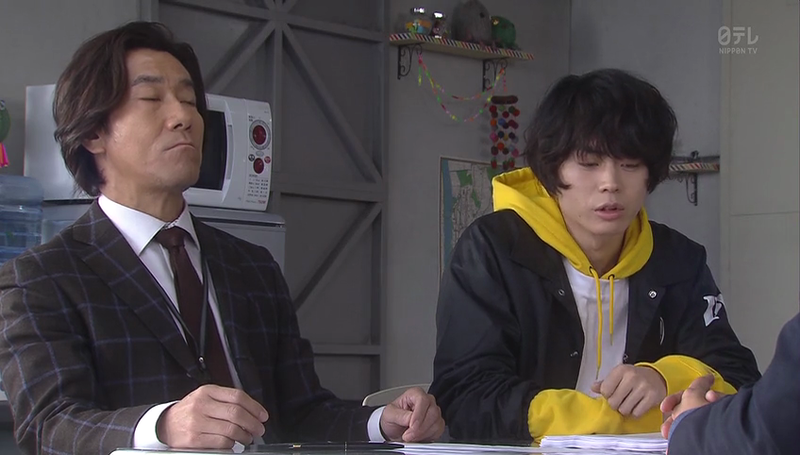 Also, sensei always uses “watashi” (I,me) or “wakatushi” when talking while Naoki used “ore” and “boku”. Moreover, Yoneoka shows them the maquette he did for sensei, the one that sensei also used as the setting of the murder scene. The said maquette looks like a Hollywood home on top of cliffs, quite a peculiar house that the chances of sensei plagiarizing Ryonosuke’s work is low. Fujiwa tells them they have to look for the proof of when the plagiarism happened when the galley never left the company. While they were thinking of when and how the galley might have been stolen, Morio arrives to invite Etsuko in Essonne‘s spring collection, she’s hoping that Etsuko will get some ideas for her Lassy presentation. Etsuko obviously wants to go, but she has a galley to recheck to prove Hongo-sensei’s innocence so she refused Morio’s offer. While Etsuko is busy rechecking her revised galley, Orihara got engrossed with his writing that he arrived in his photo shoot with bloodshot eyes and dark circles. Frankly, I look worse than him even if I don’t do an all-nighter. Morio asks him if he wants to lessen his photo shoots since he’s already busy with his writing, but Orihara don’t want to do that since he’ll trouble Morio when she was the reason he got into modeling. 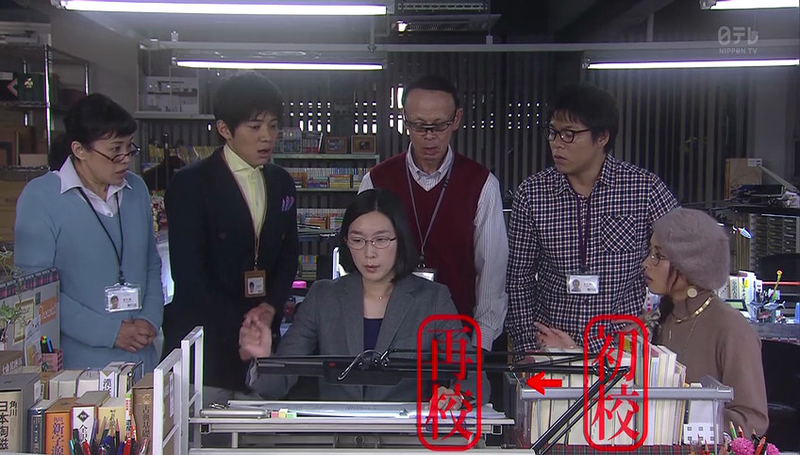 Back at proofreading department, Fujiwa shocks everyone when she screams since she found some hard proof that Naoki was the one who plagiarized as well as when the plagiarism happened. Fujiwa says that she pointed-out a certain scene to sensei, the said scene is about an Opappo festival, which is a fictional festival so Fujiwa felt no need to investigate. However, she got curious with the word since it’s the first time she heard it so she checked it out. Upon checking, she found out that in a certain area in Aomori, opappo refers to a male genital part. So she thought that it might post a problem since there’s a scene in the novel where the pure heroine chants “opappo” during the festival. In the end, sensei changed it to “Ochabashira festival”, but in the web story, it was still written as “Oppapo”. It could only mean that after the second revision and before the final revision, the galley had been in someone else’s hands and that could only be Naoki. Their now problem is when and how did Naoki steal the galley since it never left the company. 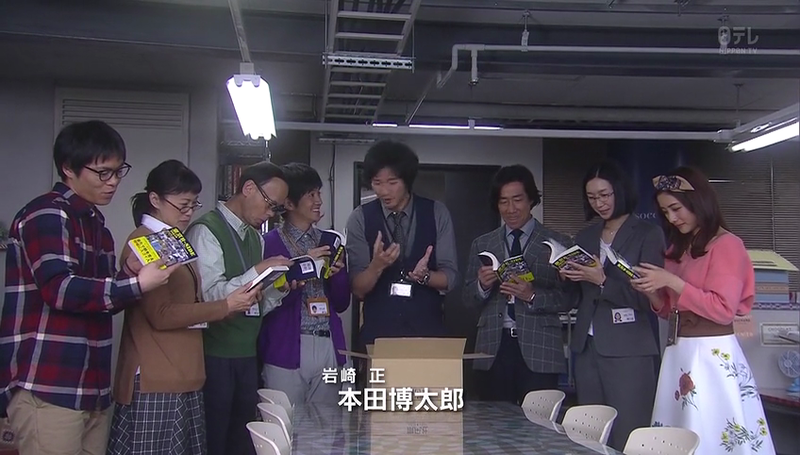 Fujiwa thinks that someone might have stolen the galley in their department and the next thing we see, Kaizuka and the proofreading team are checking-out CCTV recordings. 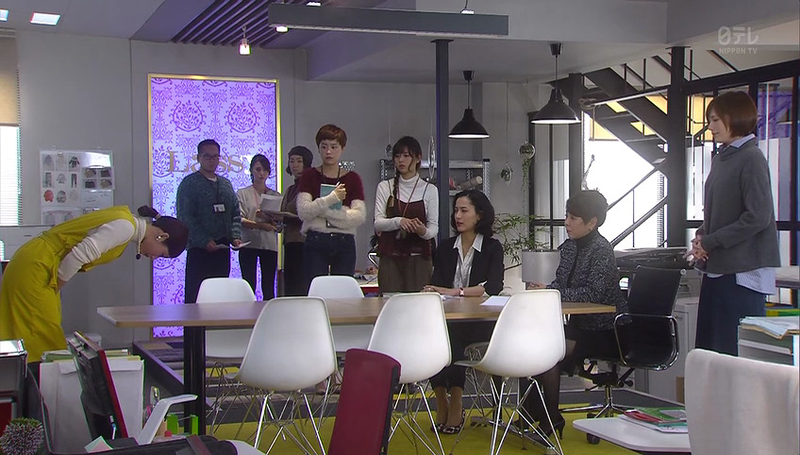 In one recording, it features Etsuko coming to work too early, and acting suspiciously, haha. Etsuko wants to have it fast-forward but Kaizuka thinks that her movements were suspicious and when she was taking-out something from her bag, he thought that it’s a scanner but it was only an octopus display, haha. 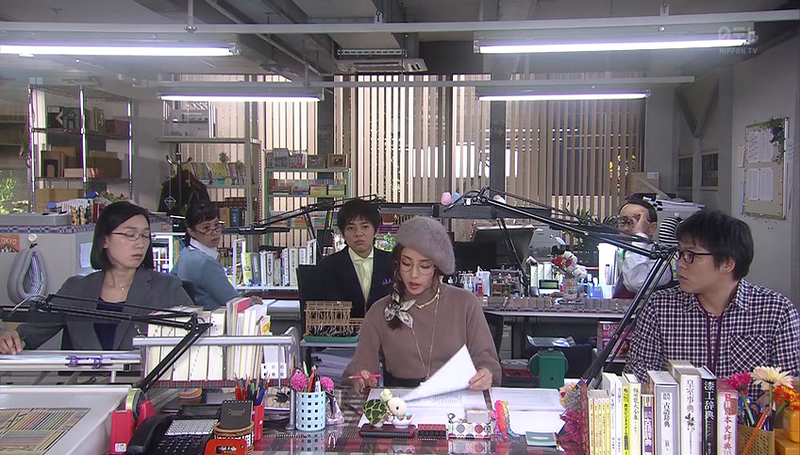 Kaizuka asks her what she was doing and she said that she has been re-decorating their office because it’s too dull. She thought that she was doing it secretly so she was surprised to learn that everyone knows that their department’s new interior design had been her doing. BTW, I don’t know if Etsuko is an octopus freak since most of the designs she has placed are octopus. Etsuko goes home to find Kaizuka at the only oden shop in Tokyo. He says that he’s meeting Korenaga/Orihara when Taisho brings Etsuko a package from Morio. Etsuko is please that Morio sent her something that could help her with her Lassy presentation and tells Kaizuka about it, he congratulates her and says that her persistence have finally paid off. Anyway, Orihara arrives and Kaizuka tells him how the galley have been stolen after the second revision. He asks if his father have contacted him, and he says no. Orihara adds that he tried asking his mother but his call was redirected to a voice mail, and besides, his parents haven’t seen each other since their divorce so it’s impossible that his mother would know about his dad’s whereabouts. Etsuko tells him his parents have met after 20 years due to that Tappi bridge incident and her own doing, and Orihara is surprise by this fact. He gets more surprise to see his mother calling him and tells him that his dad has been with her. 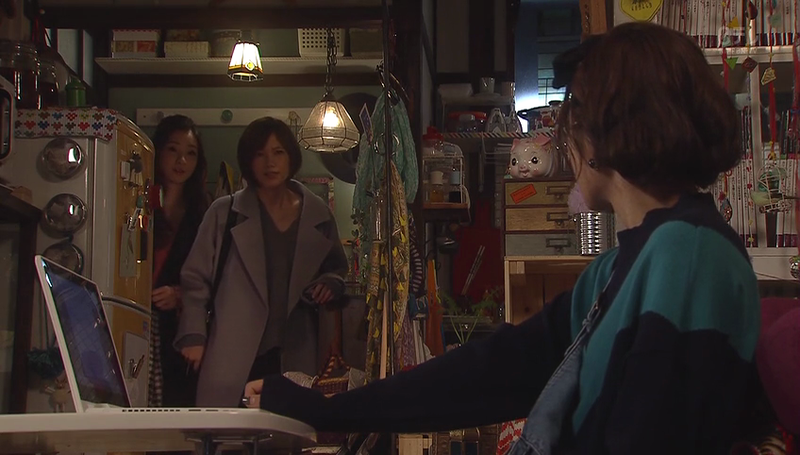 So Etsuko, Kaizuka, and Orihara heads to his mother’s place to see Hongo-sensei chilling out. Sensei admits that he has gotten back together with his wife and they proceed to tell him about the plagiarism issue by a certain Naoki Ryunosuke. The name obviously rings a bell to sensei and they ask him if he brought the second revision somewhere when it was in his hands from Oct 27th to 30th. His wife said that sensei have gone to a college reunion during that time and indeed brought with him the galley. Kaizuka wants to investigate the onsen where they went as well as the people with sensei. However, Hongo-sensei that there’s no way he’ll doubt his friends for 40 years so he’d rather own-up to the plagiarism thing and apologize. Hongo-sensei’s wife talks to him and makes him recall the reason why she left him 20 years ago. As it happened, Hongo-sensei won an award and when he can finally live with his family, he had a huge amount of money stolen by a friend. Instead of turning him over to the police, sensei chose to forgo the issue. While she liked that kindness in him, she couldn’t fathom that he chose his friend over his family and she doesn’t want to feel what she felt that time again. 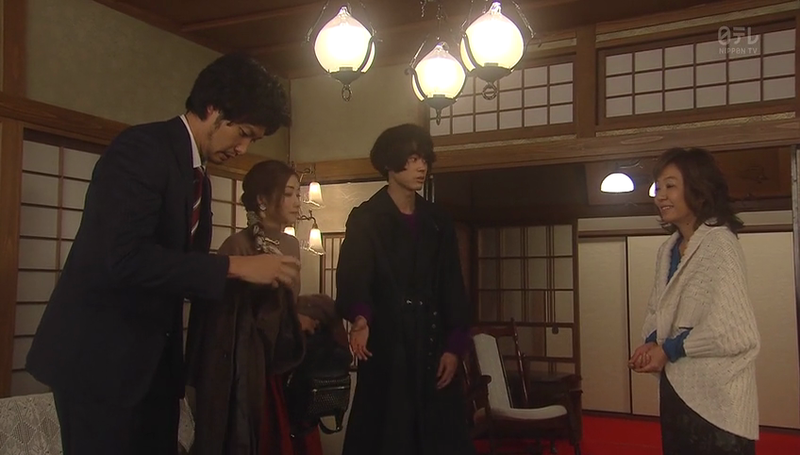 Hongo-sensei tells her not to worry and the next thing we see, he do know who Naoki Ryunosuke and heads to his home. Naoki Ryunosuke is a pseudonym used by his old university friend who used to be an aspiring writer. 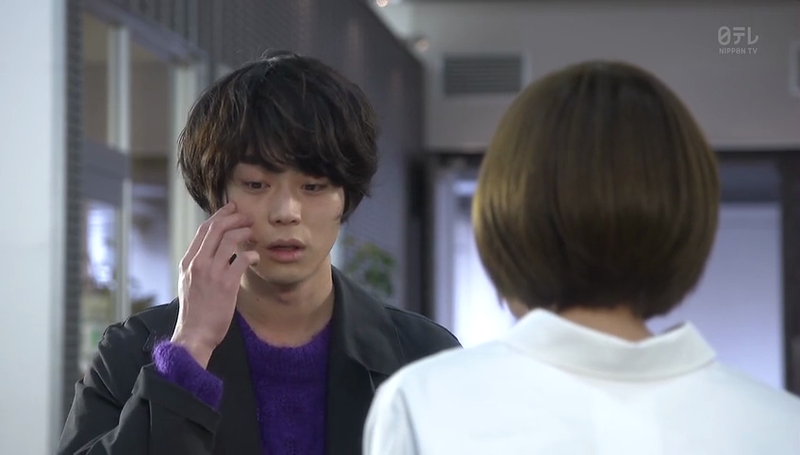 Well, in fairness to Naoki, knows that he’s been busted the moment he saw Hongo-sensei. He admit that he did it, he did it out of spite since sensei has been living well all this time. I’m sorry, is that his fault?!. 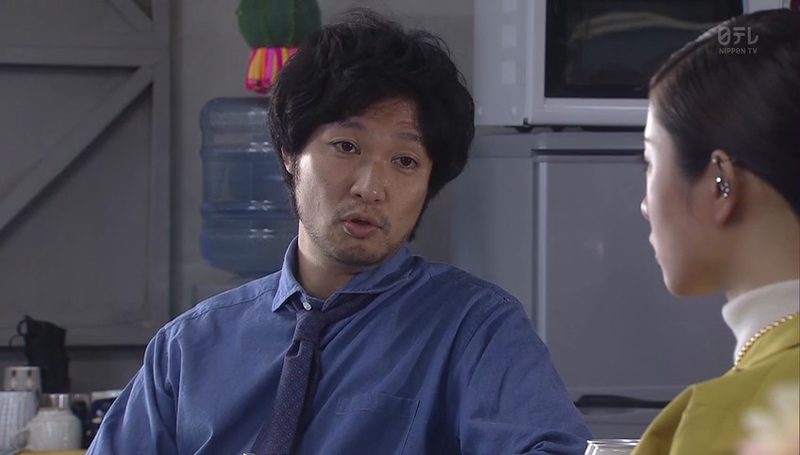 Hongo-sensei corrects him and says that he lived alone for the past 20 years after his divorce . Naoki is surprise to hear this since sensei have never shared this news and sensei says that it’s not something he would talk about. Though he thinks that he should have at least shown some weakness to his friends and tells him that he has read his blog. Naoki says that the stories in his blog are nothing but ramblings of an old man since he has failed as a writer, he wasn’t able to fulfill his dream and he doesn’t want to reach his end carrying that thought so he did that. 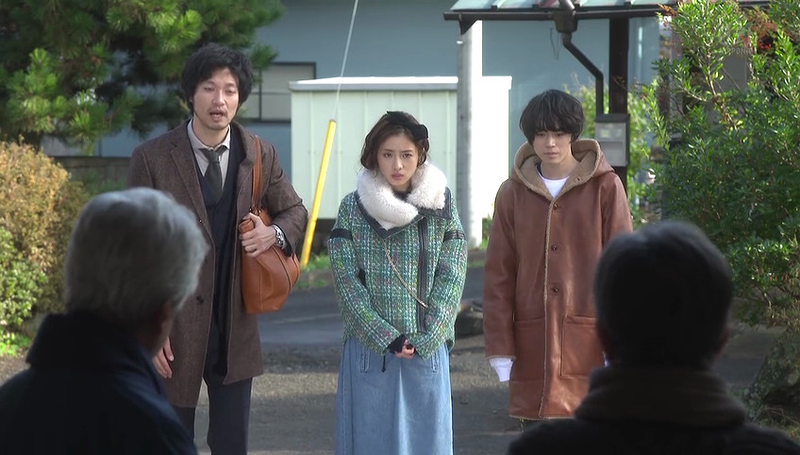 Unknown to both of them, Kaizuka, Orihara, and Etsuko followed Hongo-sensei from Tokyo and the next thing we see, Etsuko approaches both old men and has a lengthy tirade for Naoki. She tells him that the fact that he’s still writing means that he’s still in the middle of working for his dreams and that he hasn’t given up yet. 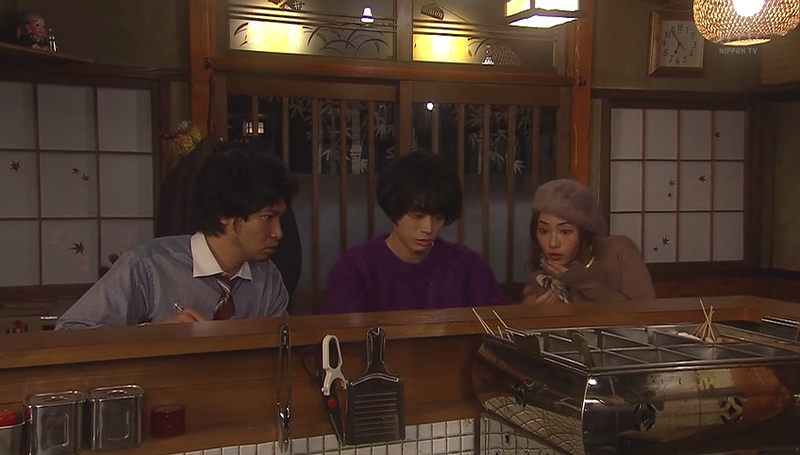 Well, Naoki is more interested to know who she is, and Hongo-sensei says she’s his son’s girlfriend, woot! Kaizuka also introduces himself as someone from Keibosha and Naoki, whose real name is Iwasaki Tadashi, says that he will give himself up properly. 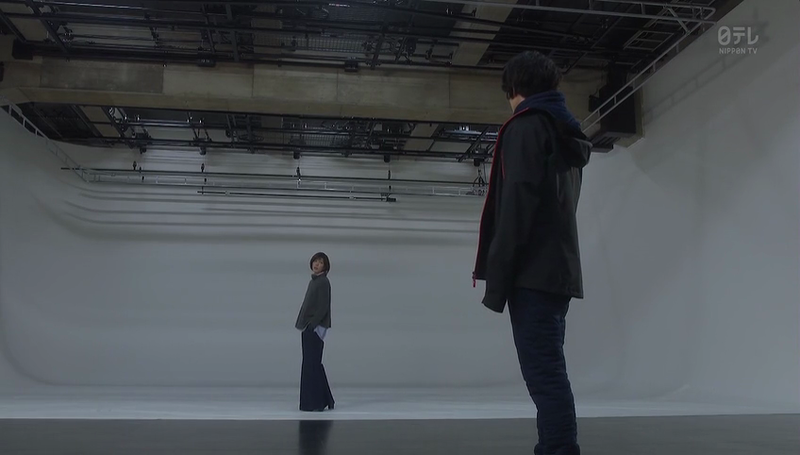 However, Hongo tells him that there’s no need for him to give himself up and confesses that the reason he was able to graduate is because he borrowed and submitted Iwasaki’s rejected thesis as his own. Wait, how can he submit a rejected thesis and still pass? 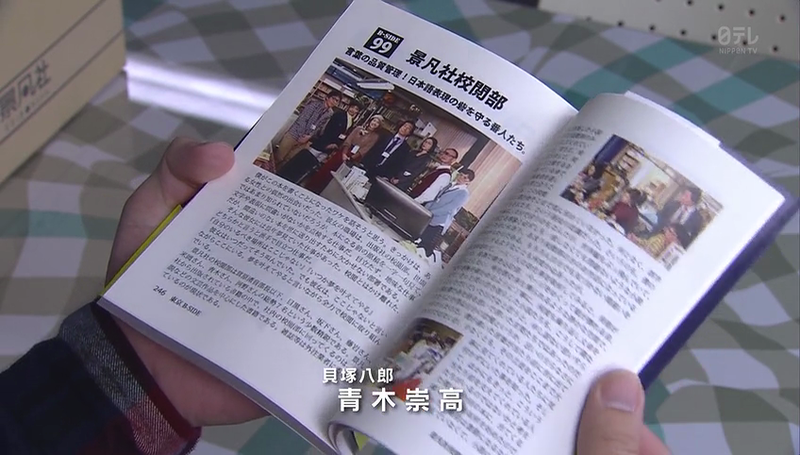 Anyway, Hongo adds that Naoki did fulfill his dream because he told them during his wedding that his dream is to have a family and he has that. Hongo adds that it’s fine to have many dreams but realistically, it’s hard to fulfill them all at once, just like him sacrificing his own family for his dream and now he’s trying to rebuild that family again. Etsuko goes home late to see Morio and Seshimaru having some drinks at the oden place. Morio asks her about the Lassy proposal and Etsuko says that she’ll work on it, even though she only have 3 hrs left until deadline. 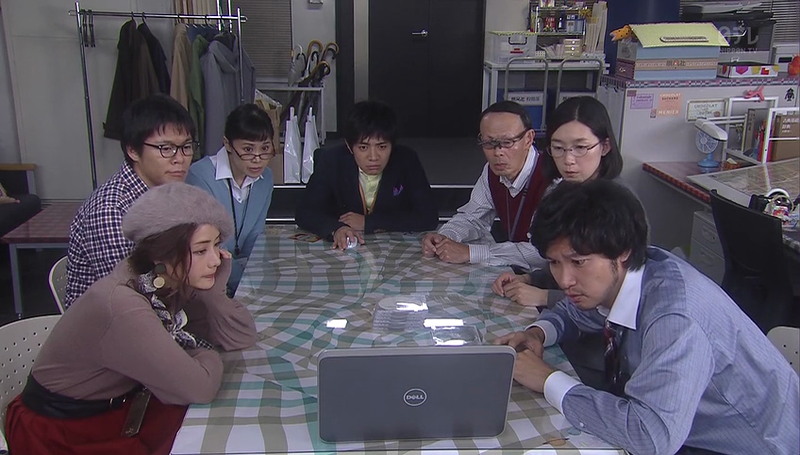 However, Etsuko wasn’t able to accomplish anything until Morio comes in to say that they are leaving for the night, she takes a look at Etsuko’s computer and sees an unfinished draft so she volunteers her own proposal to send to the ed-chief. Etsuko says that she can’t cheat like that but Morio insists that her transfer to Lassy depends on that project. In the end, Etsuko clicks on the send button. However, she’s still feeling bad the next day and when she arrives at the Lassy office, she gets praises from Kamei for her proposal and says that her desire to come to Lassy aren’t just some mere words. She asks her to prepare a more detailed presentation and that’s when Etsuko decides to reveal that it was not her proposal but Morio’s. She says that she spent her entire time and energy in her proofreading work and as much as she has been waiting for this chance, she’s sorry that she just wasted it since she wouldn’t be able to bear getting transferred to Lassy because of someone else’s work. Kamei got a bit confused about the transfer thing and says that there’s no such thing as transferring departments, she merely wants Etsuko to join the presentation. Okay. Speaking of more Lassy, Orihara wakes-up to see a lot of missed calls from his modeling job. He heads to the studio where he found no one except for Morio who informs him that everyone have packed-up and that he’s getting fired, ouch. Orihara apologizes that he’s late because he stayed-up all night finishing his writing and while Morio understands that, she tells him that it’s better for him to quit now since he’s not being professional when there are people who are taking (modeling) seriously and would want to be in his place. She also adds that Orihara has been forcing himself, both in writing and modeling, and now that he has found something to write about, he should just do it. It’s just like Etsuko, even though she was given a chance to make a presentation for Lassy, she let it slip-away because she’s too busy with her proofreading work. 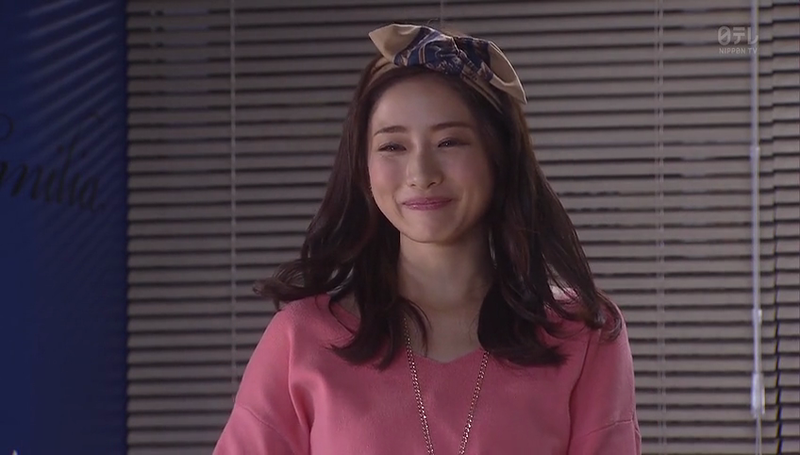 She says that it’s okay since it’ll be impossible for Orihara and Etsuko to concentrate on two things. Back in the proofreading department, Kaizuka sees Etsuko sulking and later on, he buys some beers and they started to drink. Etsuko shares that she’s thinking about Hongo-sensei’s friend, and that she shares his frustration. She feels sorry for herself because she let a chance slip away when she wanted to go to Lassy so badly. In the end, she did a half done job. Kaizuka tells her that she didn’t do a half-done job, it just happens that she has to choose and she chose to prioritize her job in the proofreading. That’s because even though she have a different dream, she’s the type of person who puts on all her power to the work in front of her. Well, the talk of dreams and prioritization must have stuck to Etsuko’s and Orihara’s brain. 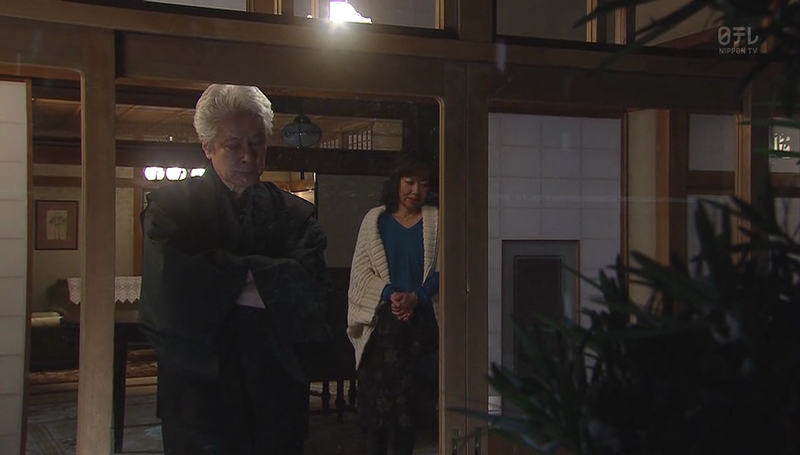 The next thing we see, Orihara arrives at the oden place and asks Etsuko to let him use her room because his mom and dad are entertaining guests and he can’t make any work done. 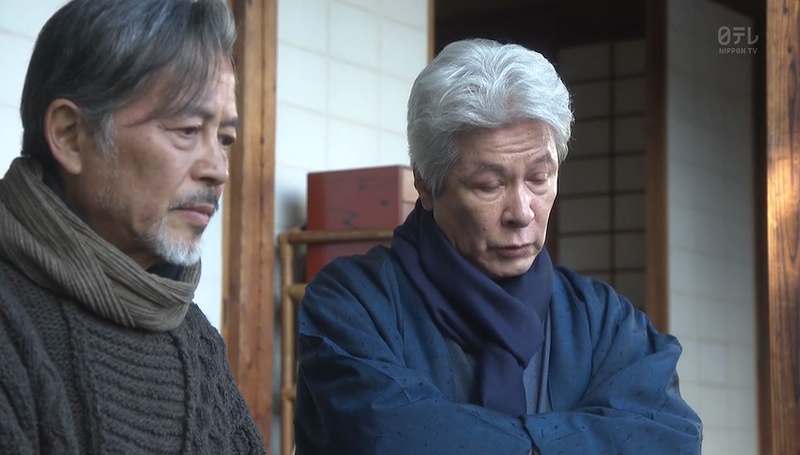 When Orihara finished his work, he lets Etsuko reads it since he promised himself that the next time he writes something, Etsuko would be the first to read it. Etsuko reads it, she loves it and thanks Orihara for his hard work. Then the relationship talk begins and just like what I mentioned earlier about dreams and prioritization, Etsuko and Orihara chose not to start dating since they both agree that they will be too busy working on their dreams; as a writer for Orihara, and as Lassy’s editor for Etsuko. If Etsuko and Orihara chose not to date, it seems like it’s different tune between Yoneoka and Masamune as evident with their “see you later” when he drops by the department to bring a galley from Kaizuka. Masamune stumbled twice and when they check it out, they saw a long cord extension from the door to inside and Fujiwa goes out to check it. 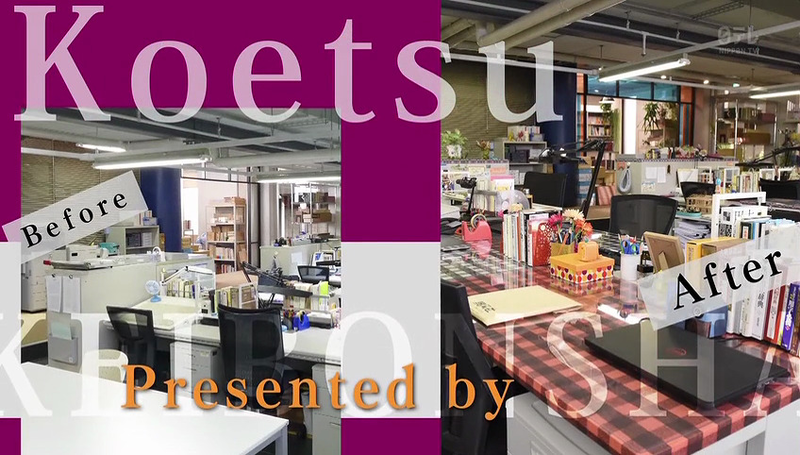 She immediately thinks that their new door sign, adorned with blinking lights, leaves, pencils, and birds like Lassy’s, is Etsuko’s doing, which she vehemently denied. Well, the door sign is courtesy of their chief, Takehara, haha. He says that ever since Etsuko joined their department, it has become lively and they became more confident with their jobs. He also marvels on his splendid staff that when they look for mistakes in galleys, they just look for something positive on people. 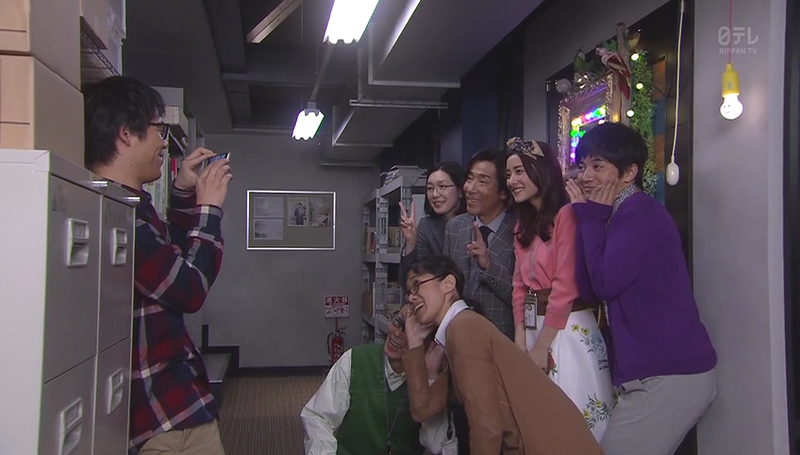 After Takehara’s wonderful and uplifting speech, they decided to take a picture at their new door sign outside when their constant visitor, Kaizuka, arrives and upon seeing the sign and thinking that it was Etsuko’s doing, he calls it tasteless, haha. 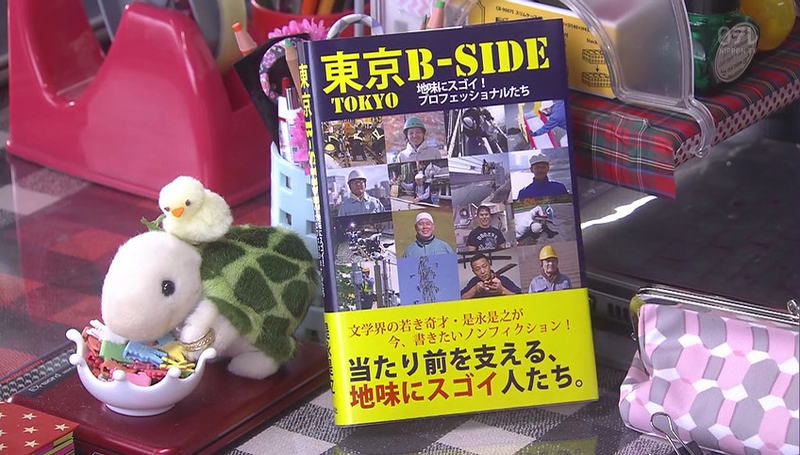 Anyway, he’s there to tell everyone that Korenaga’s newest work, called B-side, has been published.Since it’s about people whose jobs were often overlooked, the Koetsu department is also featured. Kaizuka gives each one of them their own copy and Etsuko goes back to her desk to place the book like a picture frame that she can always stare at. In a voice-over, Orihara narrates that he decided to write that book after a chance meeting with a certain woman who works at the proofreading department of a publishing company. He describes Etsuko’s work, on how it doesn’t stand-out compared to the other work that she dreamed for years. However, in this world, there are people who could fulfill their dreams and those who could not; jobs that stand-out and just that doesn’t stand-out; while there are some who have fulfilled their dreams but it wasn’t what they were expecting. In the end, no matter how one feels about it, no matter what kind of work you do, but in giving all your best to the job you’re doing now, what you think is repetitive will eventually become irreplaceable. Furthermore, he hopes that woman will be able to fulfill her dream one day, and until that day comes, he will keep on cheering for her. As for Etsuko, she’s proofreading a galley about food and she gets bewildered with food’s description of how the “aroma of Amazon” spreads to your mouth. So, as usual, she needs to go out for a fact check and Takehara gives her a go. That’s a wrap! Although the ending between Etsuko and Orihara is not what I expected, I’m really touched on Orihara’s narrative about the book and how it’s basically his love letter to Etsuko. That’s how I see it, remember what Hongo-sensei said in episode 9 on him “to shut-up and wait until the woman settles her mind”? Well, this is basically Orihara taking his dad’s advice. I think it’s sweet that they are giving each other time for themselves to grow before they throw themselves to one another. Speaking of dreams, I never really see Etsuko transferring to Lassy, in fact, I always thought that she would love proofreading so much that she wouldn’t want to go to Lassy. So it’s a bit surprising that she remains firm on her Lassy dream but she’s still doing her best with her proofreading work, which I think is hard. Morio said some wise words in this episode and she’s right when she told Orihara that both he and Etsuko can’t do two things at the same time. It’s quite similar to what Hongo-sensei said about sacrificing something for something else. Anyway, despite some low moments, “Jimi ni Sugoi” is overall an interesting watch. I really learned a lot about proofreading when I always thought that it was just about checking for typos. I also like that there’s less drama and more laughter, I love the working relationship between the staff of proofreading department, no backstabbing and harassment, which may not be realistic but it’s very achievable. Takehara wins the “boss of the year” award, for being the coolest and most understanding who lets his staff grow outside of the scope of their work. Taisho as the best landlord and I’m now thinking that it’s very advantageous to live on top of an oden restaurant. 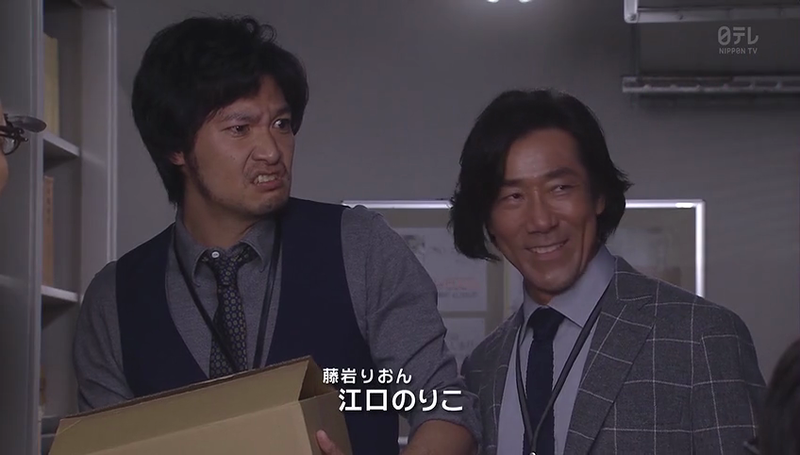 Kaizuka as that cheeky co-worker from the other department who obviously finds enjoyment in bantering with Seshimaru as the runner-up. Orihara wins fashionista award for his outrageous fashion sense that looks so cool on him, it might be just me but I really love his effortless style. Finally, for Etsuko and her bizarre style and endless curiosity, which are the main reason we have this story. Thank you for reading this recap! Posted on January 11, 2017 January 10, 2017 by mikuchinPosted in Fall 2016, Recaps | ReviewTagged Ishihara Satomi, jdrama, Jimi ni Sugoi, Munetaka Aoki, Suda Masaki, Tsubasa Honda. I too thought Etsuko would grow to love her proofreading job and her colleagues so much to forgo her dream move to Lassy, but when she lighted up at the chance, i then thought her becoming a Lassy editor would make a great ending to series. That’s why i was disappointed when she let it pass just like that. This drama was fun at first but getting boring halfway through. 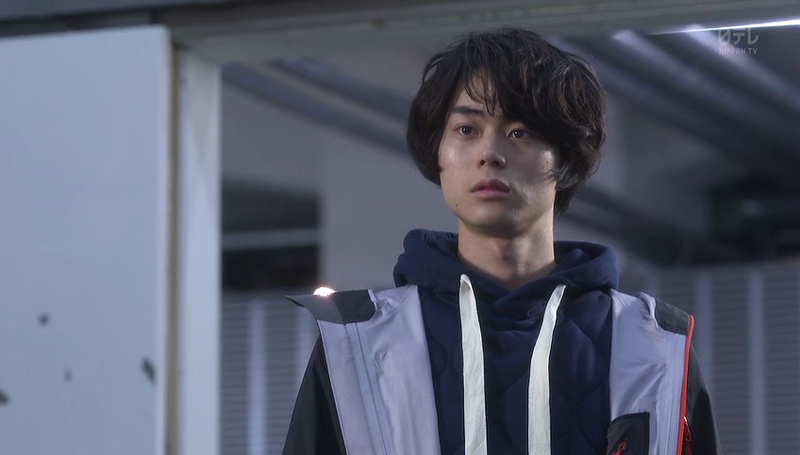 However, i tuned in for Suda Masaki and was pretty pleased with Yukito’s character development, or even his character in general. And yes, his fashion too! Agree to everything but more so with Yukito’s fashion sense since he never fail! I wish subbing is easier so I can help with subs, I tried it before and it was super hard. Definitely don’t want to try it again. Anyway, welcome! That’s the thing with Jdramas, unless the said drama is specifically mentioned as romance then NEVER expect and never shipped anyone because you might get disappointed. OH, and thank you for the wonderful recaps. When it takes a long time for subs, it’s really great to watch and know what’s being said. 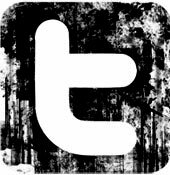 I agree with the comments here. But a certain part of me still wished for a certain relationship level between Yukito and Etsuko, haha. But I thought that’s the beauty of it. Stories like this, gives the audience a different plot about love and not the typical ones. It’s an open-ended happy ending story, I think. Thank you for the recaps😁 I stumbled upon this drama and managed to watch 6 subbed episodes in one go but can’t find the rest, your recaps has been really helpful. It’s a great drama, and very interesting as both the lead have a very open mind about their relationship.